My name is Rebecca and I am a cheesecakeaholic. There I said it and boy does it feel good to get it off my chest. I love the stuff. 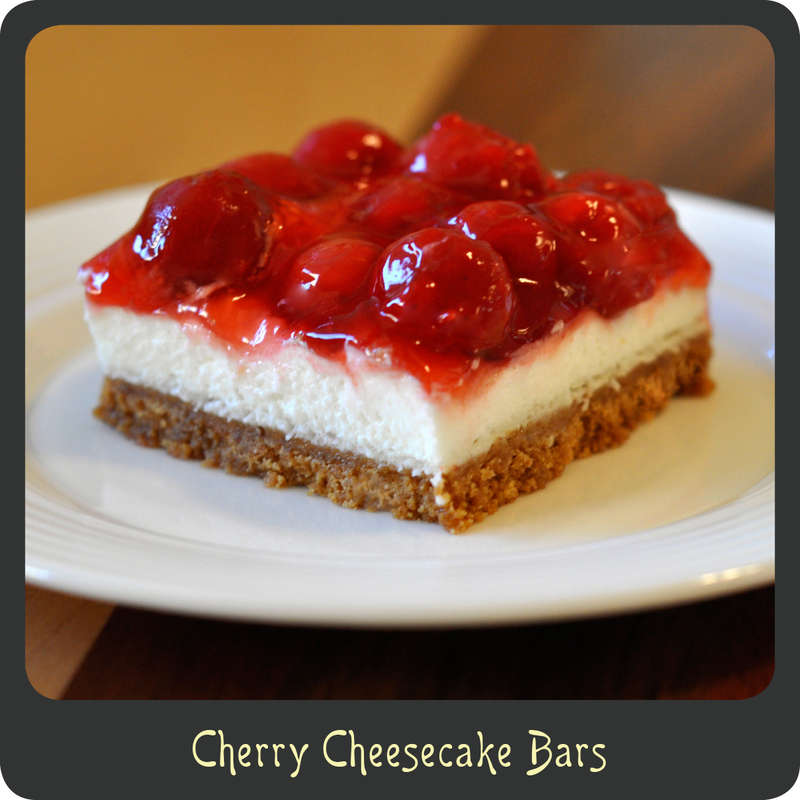 Cherry cheesecake is my kryptonite. I could sit there and eat filling by the spoonful before it even hits the crust. 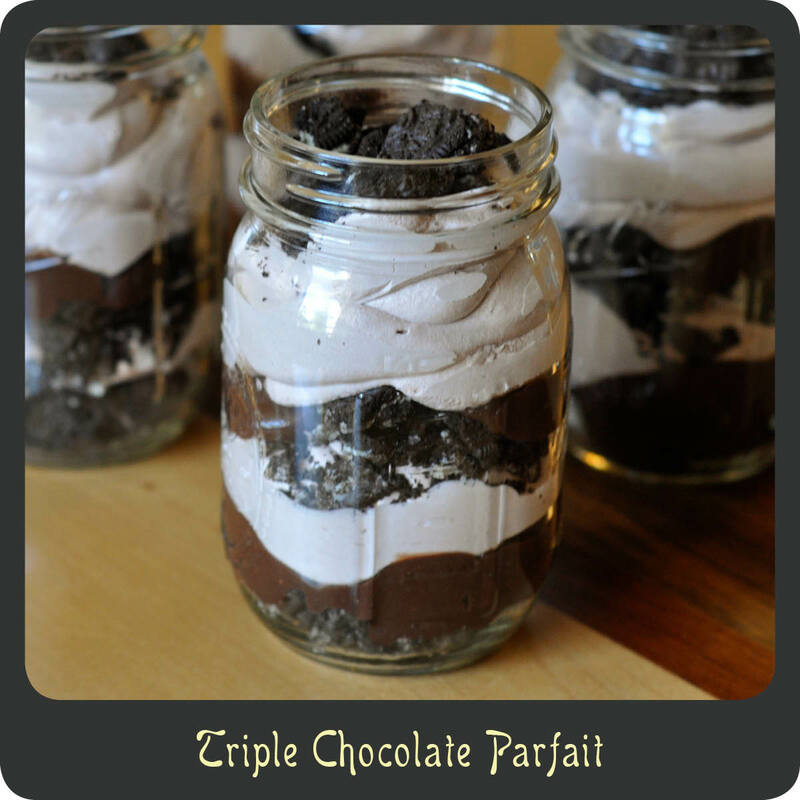 One of the many reasons I LOVE this recipe is that it is quick and effortless to make. There is no need to wait for cooking and cooling for hours like a traditional cheesecake. This takes less than 20 minutes to make and just an hour to cool. It just doesn’t get any easier. The Cool Whip makes it incredibly light and fluffy unlike some of those dense baked cheesecakes. Hope you enjoy this as much as I do! I have a feeling you just wont be able to get enough. In a medium sized mixing bowl combine graham crumbs, sugar, and melted butter and stir until well mixed. Pour the crumb mixture into a greased 9” x 13” baking dish. Using the backside of a spatula press the mixture down to pack it into a thin crust. Bake crust in the oven for 15 minutes. While crust is cooling use a hand mixer and beat together the cream cheese, cool whip, and powdered sugar until smooth. Spread the cool whip mixture over the crust. Next, spread the cherry pie filling over the cream cheese base. 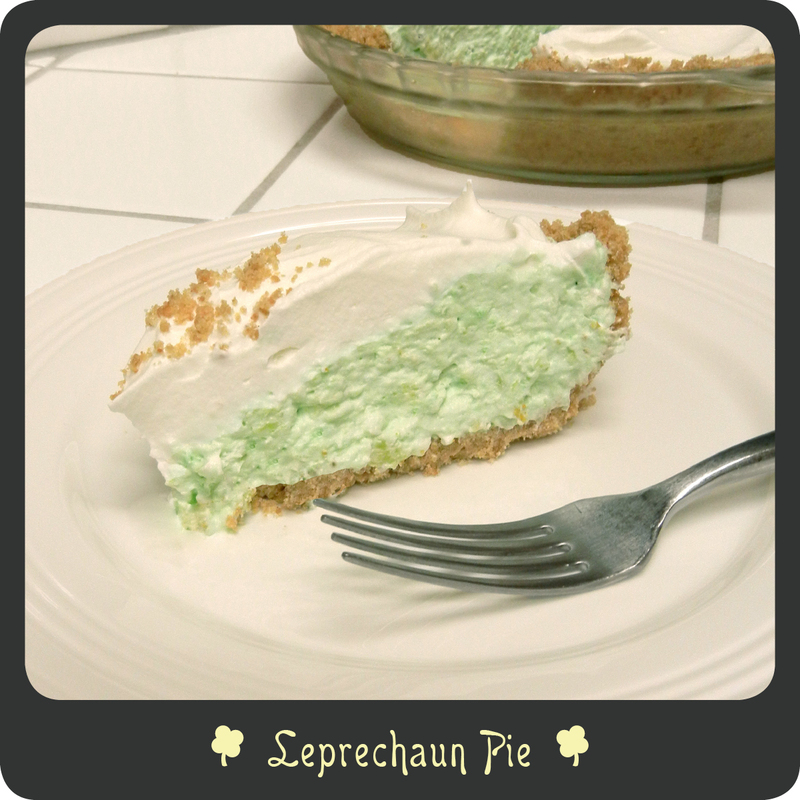 This is a pie my mom used to make on St Patty’s day. There is nothing Irish about it but it’s green and it is darn tasty! This no-bake pie literally takes minutes to make and just a couple of hours to chill. It is so easy I even recruited my own little leprechaun to help me out in the kitchen. 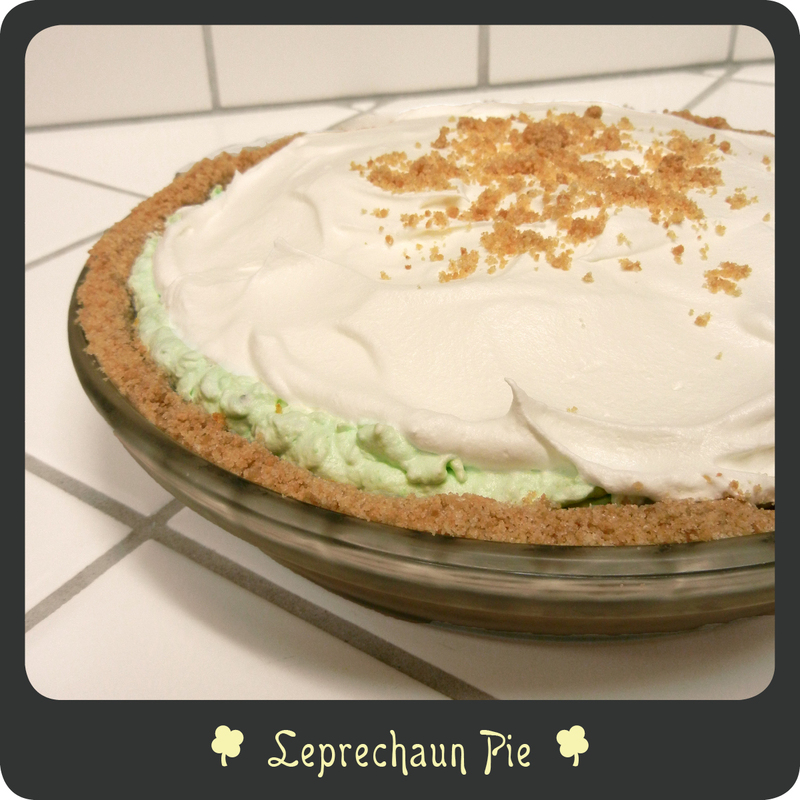 Gather the kiddos and make preparing this leprechaun pie a family affair. 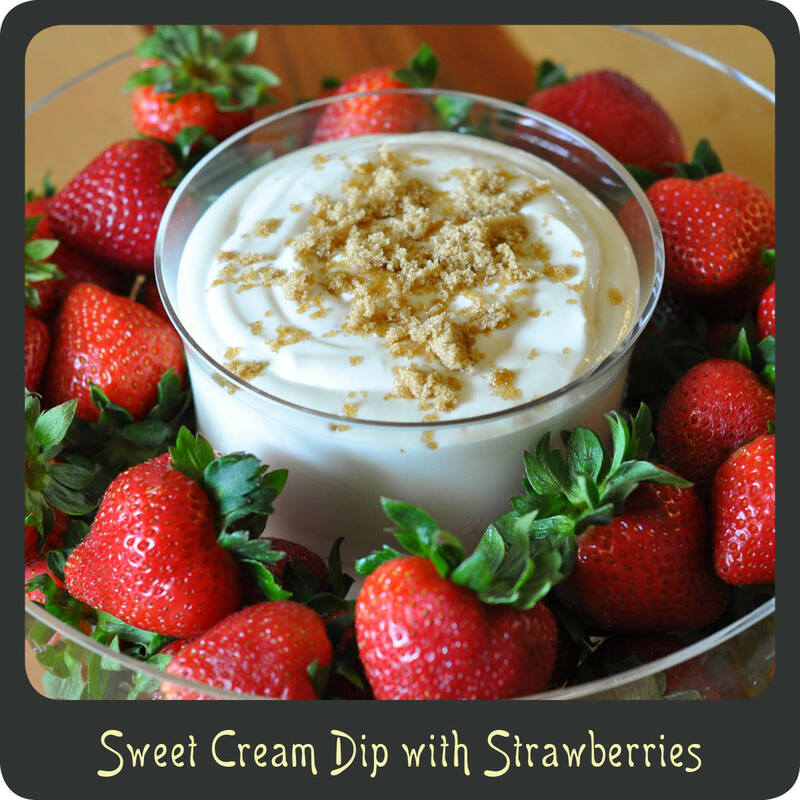 Keep this recipe in mind during the hot summer months since it is so cool and refreshing. It freezes great so feel free to make an extra one for later and you will have any easy desert next time you have company over. Wellah! Note: While I normally advocate for making whip cream from scratch the cool whip really does work best with this pie. It does not separate and will hold up for several days. If you freeze your pie take it out about 45–60 minutes before serving. For a healthier alternative use sugar free Jello, fat free Cool Whip, and a premade graham cracker crust. Mix together graham crackers, butter, and sugar. Press graham cracker mixture into bottom and up sides of a pie dish using the backside of a large spoon or rubber spatula. In a large mixing bowl combine half of the Cool Whip, the box of dry pudding powder, and your can of crushed pineapple (juices included). Pour pie mixture into crust. For added flare, garnish with extra graham crackers crumbs or chopped pistachios.